Zoned Business/Commercial on Barre Common! Single family Multi-Level home with 3 bedrooms and 2 baths in the living area plus a two room attached office area with a 1/2 bath. The office space was once used for an insurance business by the owner/occupant and has a separate driveway and public entrance. Custom raised panel wainscoting in the spacious 20' x 20' front public space. The main home has a carpeted front living room with fireplace and is open to the dining area. More private family room towards rear with hardwood floor and slider to deck. Upper level bedrooms with hardwood floors, master bedroom with 3/4 bathroom. Glass sunroom attached at ground level near rear of office space. Some replacement windows, roof was installed in 2009 according to public record, town water & sewer. 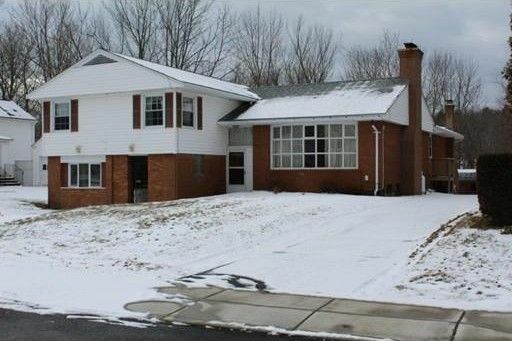 A great location with good exposure on the south end of Barre Common for an in-home business. Current office space might also be converted to more living area. Directions: Located at the intersection of Common and South Street.